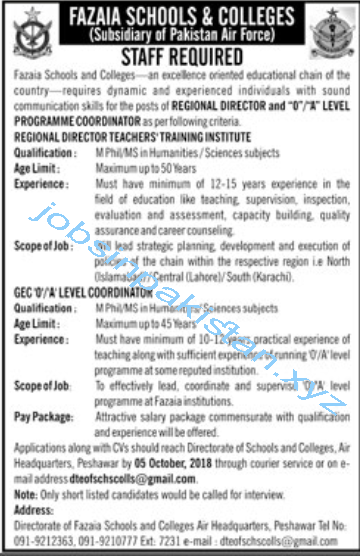 Fazaia School and College Jobs 2018 is listed below in our site. Only short listed candidates will call for Fazaia School and College Peshawar. The last date for submitting of form for Fazaia School and College Jobs 2018 is 05 October 2018. Fazaia School and College Peshawar requires a applications for following empty jobs.